Facebook is making a Spotify rival | What Hi-Fi? The social network is hiring people for music-focused roles, suggesting it has the likes of Spotify and Tidal in its sights. Evidence continues to mount that Facebook is working on a music streaming service. The social network is currently recruiting three music-focussed roles, Music Business Worldwide reports, including a 'Label Music Business Development Lead'. Their job? To lead Facebook's strategy and negotiations with music labels around the world, plus "collaborating with our product and media partnerships teams to ensure a coordinated and best-in-class licensing structure". All of which points to Facebook cooking up a music service. 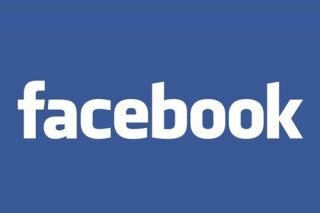 The successful candidate will also "work with Facebook's product and partnerships teams to ensure a comprehensive music strategy that supports our efforts to make the world more connected on Facebook." The two other roles are similar, but focussed on the North America and international markets. Last month, Facebook advertised for a Legal Director of Music Licensing. It also recently hired Tamara Hrivnak - an executive who has spent time at YouTube and Warner Music Group - as its head of global music strategy. Facebook hasn't announced its music plans yet. But with all these hires it looks to be cooking up something, and all signs point to a streaming service to rival the likes of Spotify and Apple Music. Facebook is also getting into TV. It's in talks with media companies to produce 'TV-like' shows up to 10 minutes in length.